Philippine Center New York Gabi ng Parangal honors Mang Maning Rodriguez Sr. Renowned Filipino artist Manuel D. Baldemor initiates first-ever Art Workshop for Philippine Center New York personnel and families. New York, 12 August 2015 — Over 50 personnel of the Philippine Center tenant offices and their families were treated to the singular opportunity to attend an art workshop conducted by renowned Filipino artist Manuel D. Baldemor. 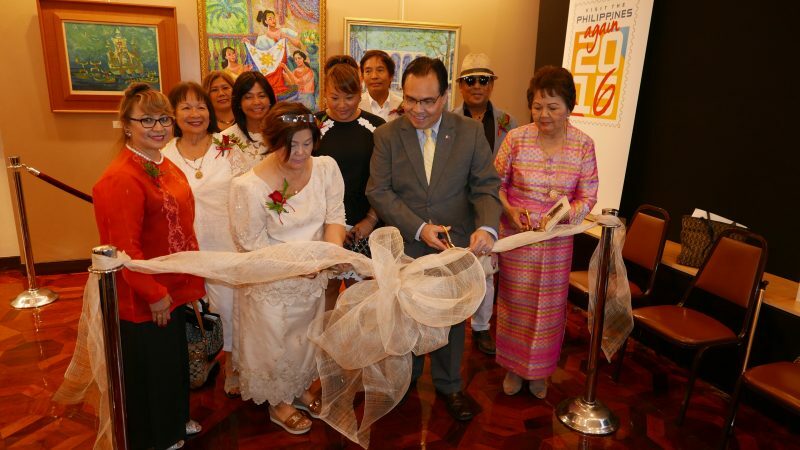 New York, 05 August 2015 — Artists, members of the consular corps, representatives of cultural institutions in New York and prominent members of the Filipino-American community graced the opening of the exhibit of the latest works of renowned Filipino artist Manuel D. Baldemor at the Philippine Center Gallery in New York City in the evening of 05 August 2015.